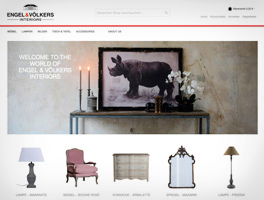 The online shop of Engel & Volkers Interiors offers a select range of high-quality furnishings and interior decor. You will find exquisite pieces, from coffee tables in solid oak to hand-upholstered armchairs, minimalistic fire sets or beautiful lamps. 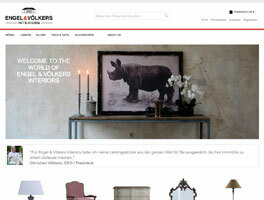 All products can be ordered online at www.engelvoelkersinteriors.com and will be delivered directly to your home. The shop is currently only available in German. For any questions please don’t hesitate to contact us. Published on 30. April 2014.